This fall we are doing our athletic training clinical rotation at Webster Groves High School in Webster Groves, MO. The high school setting can get pretty intense as an Athletic Trainer, especially when you’re the only one. 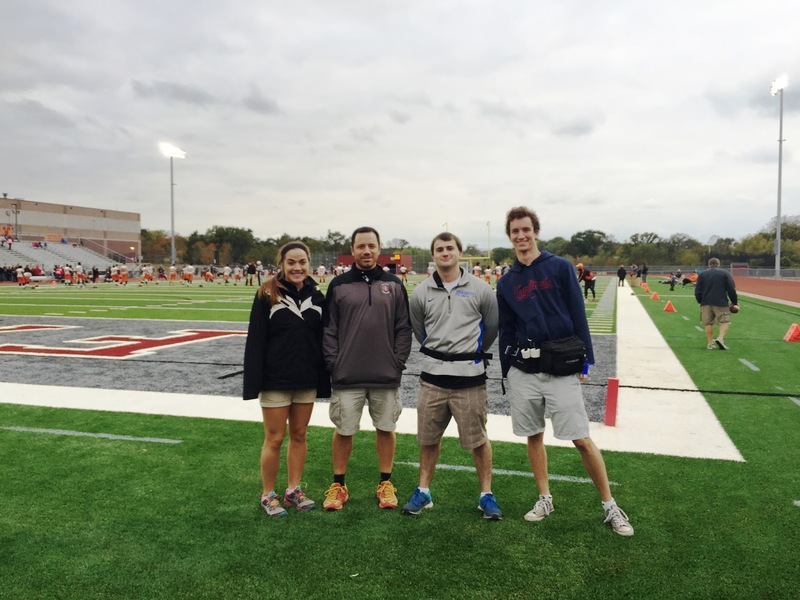 Sean Wright, ATC, Head Athletic Trainer at Webster Groves however, does a remarkable job at handling the demands of the environment in both a positive and efficient way every single day. 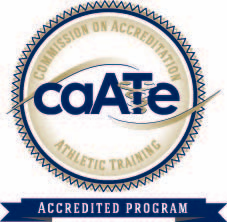 It is incredible to see the amount of work that one ATC can excel at with so many athletes. The students get out of school at 2:35pm and are in the athletic training room by 2:36pm. They line up out the door anxiously waiting to get taped, treated, evaluated or rehabilitated before their practices begin. We have one Certified Athletic Trainer and three athletic training students that work vigorously to meet the needs of all the athletes quickly and efficiently. Usually around 3:30pm the chaos slows down and we can head over to practice or a game. 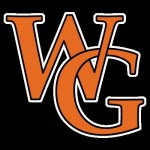 With as many sports as there are at Webster Groves, it is impossible to be everywhere at all times. We pick the highest contact sport and cover that first. We have a supportive coaching staff that knows to call if there is an injury that we need to come tend to. The athletic director, Jerry Collins ATC, is also a certified athletic trainer and is a huge component of the team at Webster Groves. He helps Sean cover big events that we can’t be at. Working with Sean has been a pleasure and such a phenomenal learning experience. He allows us plenty of hands on experience with all of the athletes and their injuries. We have learned so much since we started with him in August and continue to absorb more and more knowledge every day we’re here. We look forward to continuing our clinical education here at Webster Groves and are excited to see what else it has in store for us.